Flo’s V-8 Cafe is straight out of the film franchise, and it’s proven to be a great location for eats since the park opened in 2012. 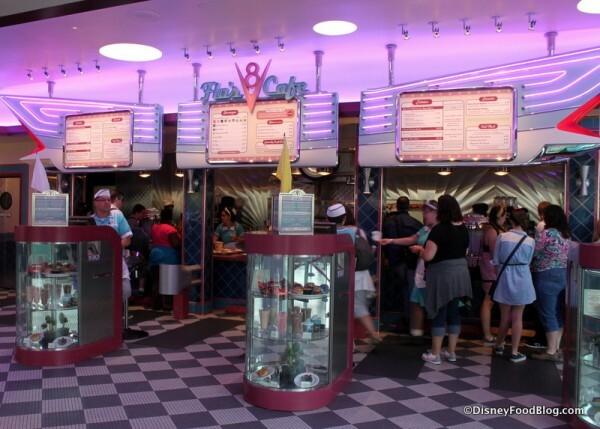 We’ve loved dinner here, which includes yummy grub like Roast Beef and Cheddar and a Veggie Tater Bake! But honestly, even if the food was mediocre (or worse! ), we’d still come for the ambiance. Check out the details! First there’s the spot-on exterior with retro styling. 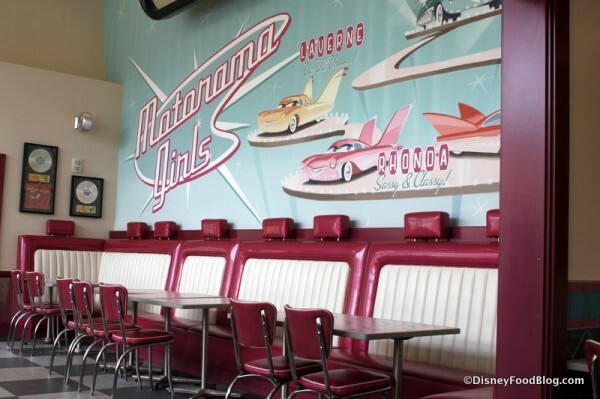 Inside, the retro, auto feels continue! Car seat booths abound, with gorgeous upholstery. …and finally the tribute museum to Doc himself and his racing career. 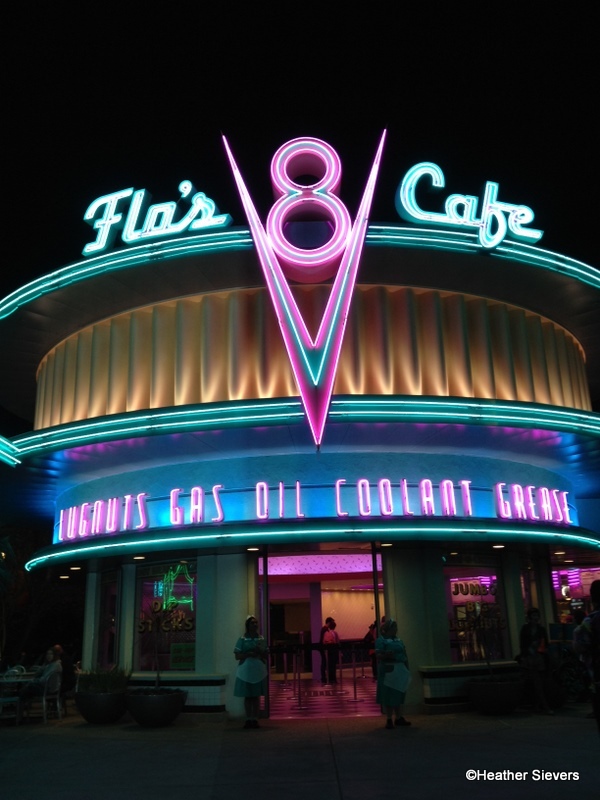 The ordering area has lots of neon and metal — with lighted display cases providing a serious throw-back to decades past. 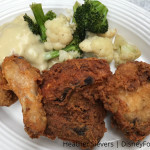 The breakfast menu here hasn’t changed much since our Disneyland correspondent Heather (@DiningInDisney) stopped in for a bite nearly six years ago. And that’s a good thing because it’s a simple but well-done menu. I had to dig once again into one of the more unique items: Brioche French Toast. 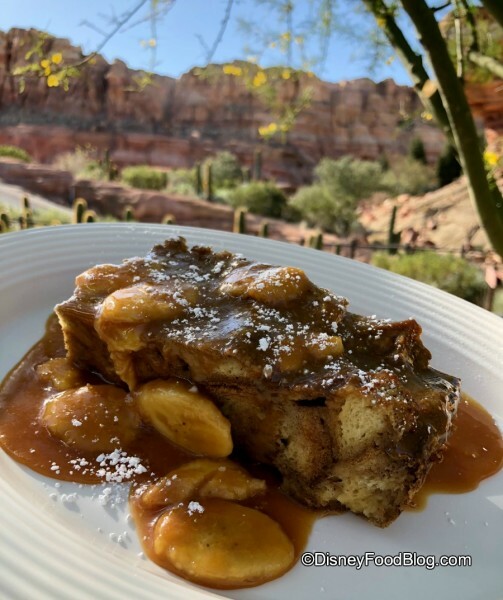 This sweet breakfast is topped with Salted Caramel Banana Sauce and is baked into dense, carbohydrate-happy pieces… kind of a bread pudding/monkey bread kind of feel to this one. The bread itself was tasty and packed with cinnamon, while the topping was seriously dessert-like. Definitely not too dry! For a more traditional option, order the American Breakfast. 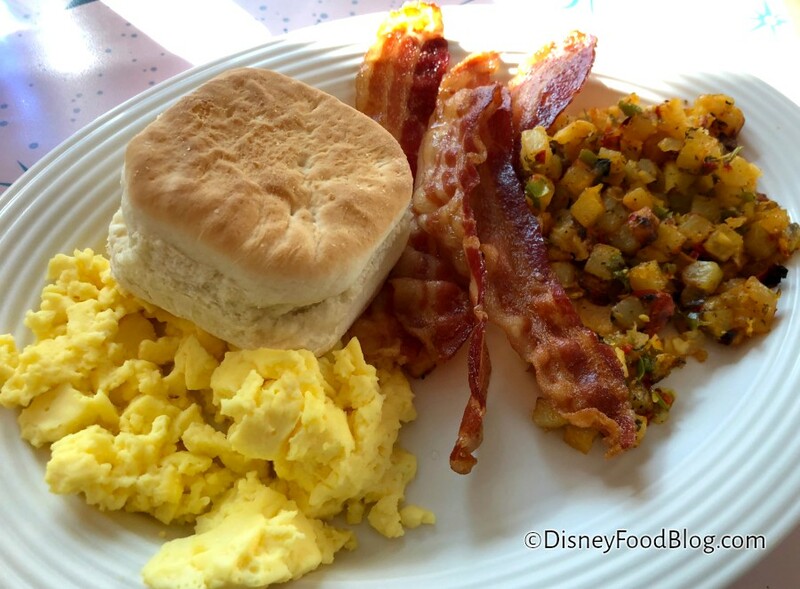 This plate of satisfying food is comprised of Scrambled Eggs, Bacon, Breakfast Potatoes, and a Biscuit. The potatoes are really good,with tons of peppers and onion mixed in and tiny little potato cubes. The biscuit was a little meh, but overall, it was delicious and comforting. 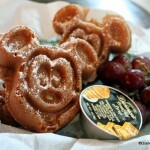 The kids’ menu offers three options, including this: Waffles. 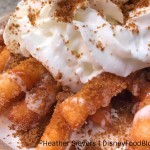 Mater Waffles, people! These are served with Turkey Bacon and Fresh Fruit. 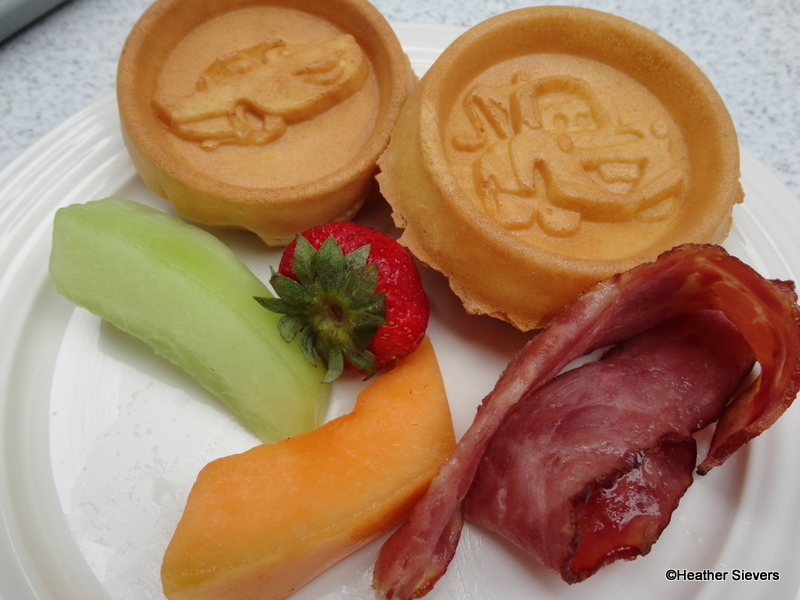 We love the thoughtful option of turkey bacon, and who can resist the charms of Radiator Springs’ resident tow truck? 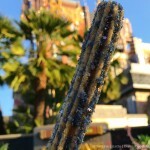 A surefire hit for the kiddos! Note that they also have Lightning McQueen waffles here, we just weren’t served any on this particular morning. Oh, and FYI — my super picky kiddo (who regularly doesn’t eat…well…anything that isn’t french fries) totally went for these. So, there’s hope for your kid, too! Flo’s still killin’ it, travelers! 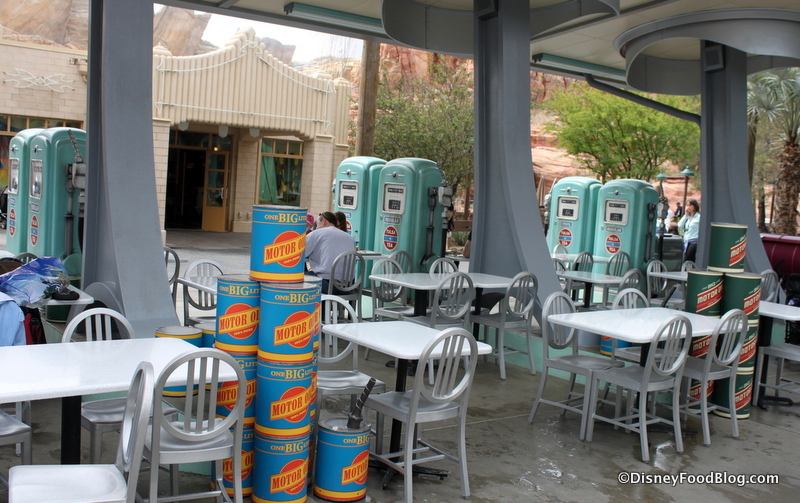 This is the perfect place to fuel up before or after hitting the streets for some of Cars Lands’ awesome rides. Ka-chow! 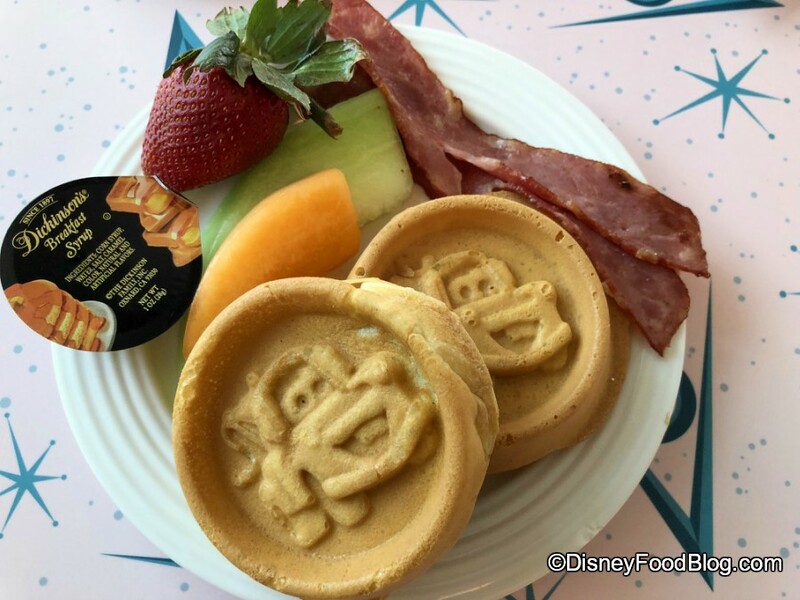 What’s your go-to breakfast when visiting Disneyland or California Adventure? Let us know in the comments! 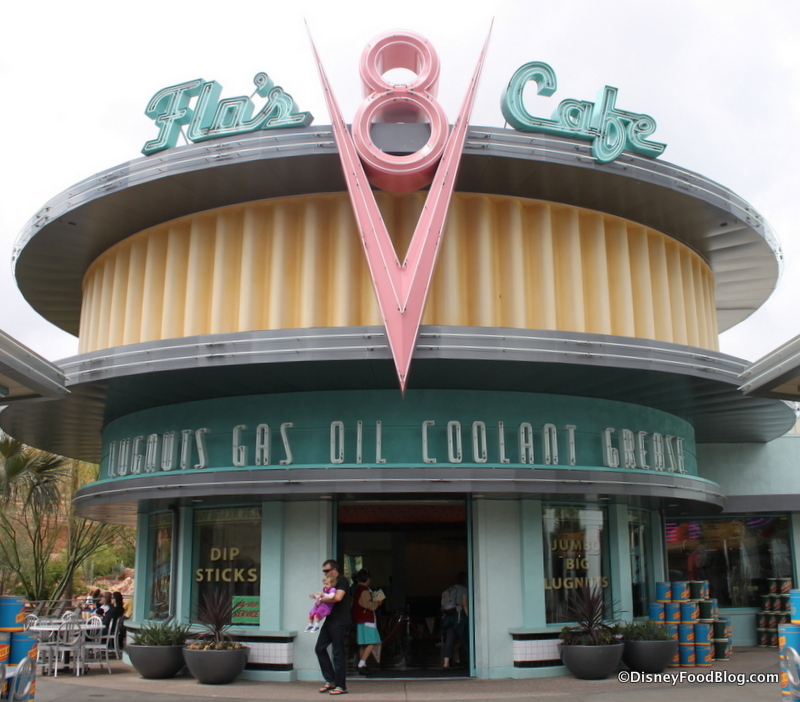 Breakfast at Flo’s is on our must do list every time we go to Disneyland. Our favorite is the chicken tamale breakfast – chicken tamale topped with scrambled eggs, salsa verde and pico de gallo. Especially good on a chilly morning and a great way to start the day! I was just visiting the west coast last week and I had the french toast for breakfast! 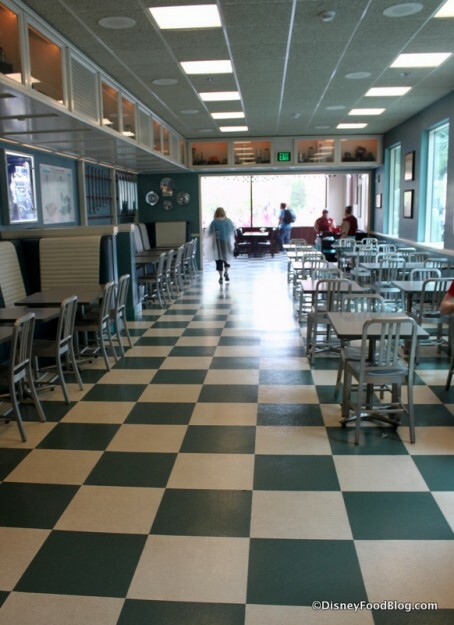 The restaurant was almost empty, at 10am on a Saturday. I had the french toast and it was soon good. It would be nice if it was served with some mixed fruit or something else a little more nutritious. 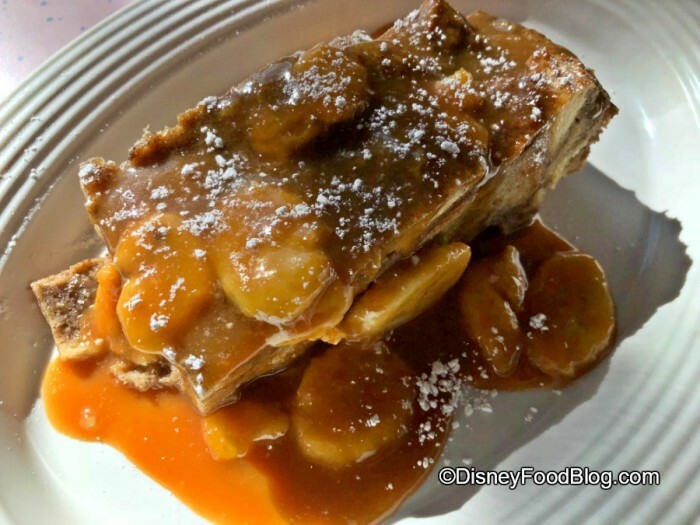 I love the brioche French toast! 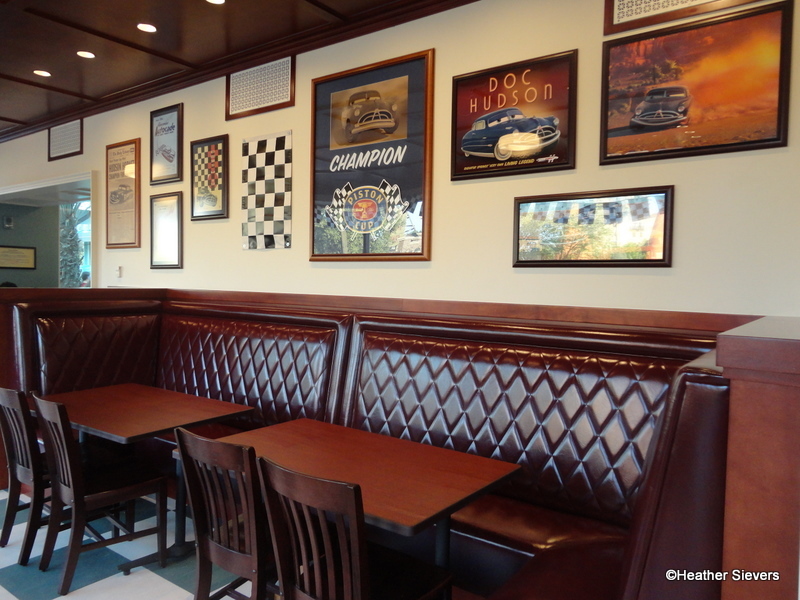 I had it almost 3 years ago, and your review inspires me to go back there for breakfast! 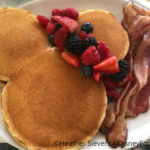 I live in Long Beach, CA and am not far away—I usually eat breakfast at home before my day at Disneyland or CA Adventure. Now, I’ll make it a point to have breakfast at Flo’s! Thanks for your fun review!